2,970 experience to go until the next level! Now the question is, how do i pass it to my view? thank you @mvd and @tykus , i tried both solution but all i get is an empty field, what i was expecting is the name of products ordered for that transaction. Any further help will be sincerely appreciated. What are the things to look out for when creating vue components? Question : please, how best can I install this tools on my window machine? 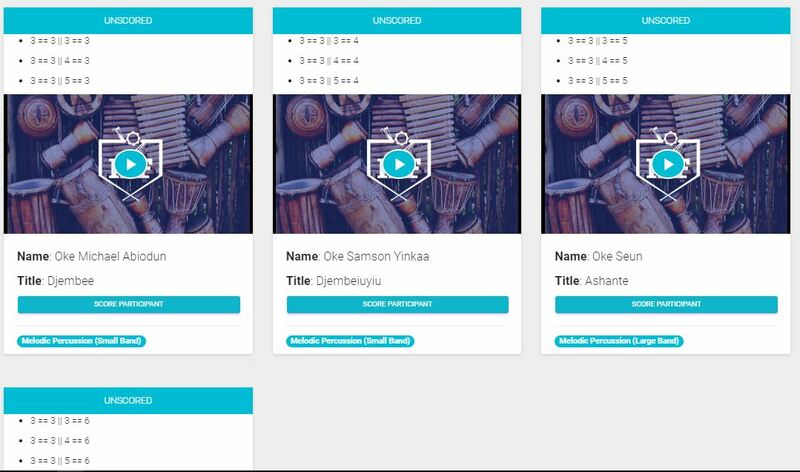 Currently building a web app that allows user to upload videos, now i have a form that post all user details and video using laravel, now i want to keep track of the file upload using a progress bar, in my finding....i discover vue.js can handle this. But the problem is, i don't know how to go about this. Please how can i loop through validation errors and flash it using toastr? The app is all about scoring video uploaded online, with adjudicators of different category. There is a reletionship between upload and scoresheet. In my controller, i am using "with" to grab the relationship eagerly, so that i can get who scored a video. but, it kept on returning the message of the numbers of video that have been scored. Here, three videos have been scored. I tried using break, it only display the true value which is 'scored' and terminate the loop. How can i solve this this? @tykus , The app is all about scoring video uploaded online, with adjudicators of different category. Please @tykus , can you expatiate. How do i break the loop if condition is true? 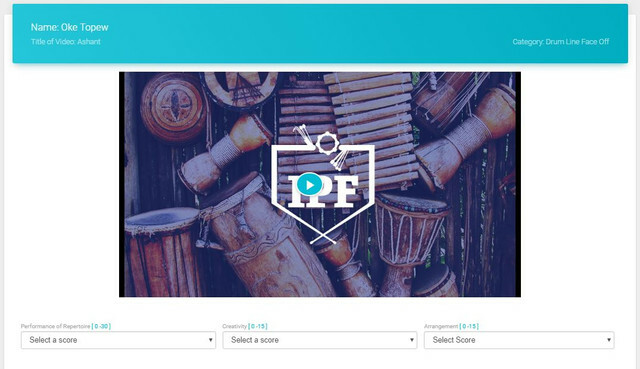 I am working on a project which as to do with uploading and scoring a video online, i want to return true after a user score a video, so that the video will not be available to score for that particular user. Thanks @Cronix , it did work. But how do i add the primary key which is the id of the videos table and the users table to the pivot table. Thanks, @shez1983...how do i insert the primary key of the two tables into the pivot table since there isn't going to be a model for it. I have two tables users and videos, Please do i create or generate a pivot table for them, I am using Laravel 5.6? Please how can I create a custom Auth just like Auth::user()'' . The custom one will beAuth::scorescheet()``. @Cronix , the problem still persistent... I will appreciate if you can help. Please @Snapey , i still can't solve this problem. I will appreciate if you can help. Please how can i start my id from '1' in my view. @Snapey , do I need to create a relationship between the video and the scorescheet? I am using the hasMany relationship because all adjudicator of the same category will be scoring each video of that category. So what i want is the logic to disabled the button after the each adjudicator score a video so that the video won't be available for scoring again. Thanks @jcmargentina , I am working on a project that as to do with participants uploading a video to a category. I have six categories, under each category are different adjudicators. I used the has many relationships because each adjudicator of a category will be scoring the video uploaded to that category. Problem: But I want the adjudicators to be able to score each category video once. After that the score button should be disabled so that they won't be able to score that particular video. How can I achieve that? I will appreciate if you can help. What logic can i use to change my button from 'score participant' to 'scored' and disable it after an adjudicator scored a participant.I'm using the One to Many Relationship between two tables which are Scoresheet and Users. In the scoresheet table i have my user_id which references the users table id, each video also have a unique reference number, the whole idea is to ensure that adjudicator of same category cannot score a video uploaded to that category twice. Thank you @Thyrosis.... 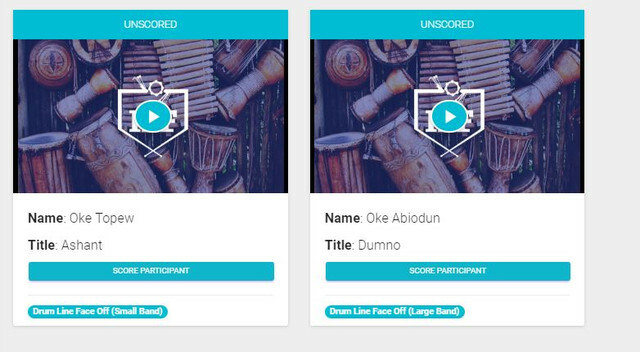 Yes, there are some fields designated for the allocation of score like g-balance, performance, stage usage etc..... Each participant a category can only score a video once. I'm working on a project that has to do with uploading a video by participant and I have adjudicators all over the globe to score each video uploaded. The adjudicators are in different categories.... Each participant have a unique reference number, but I'm stuck at the place where each adjudicator of the same category will score each participant's video.